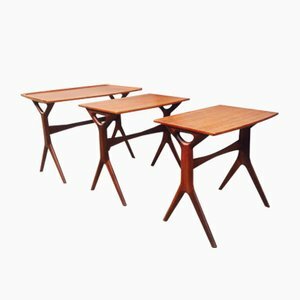 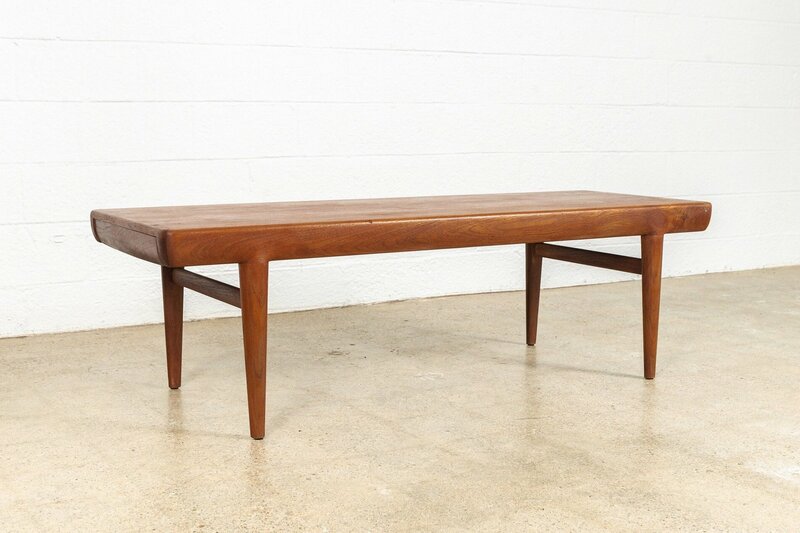 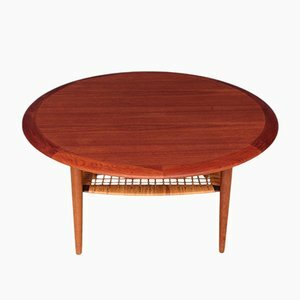 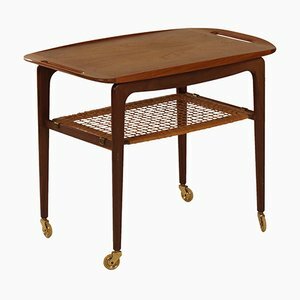 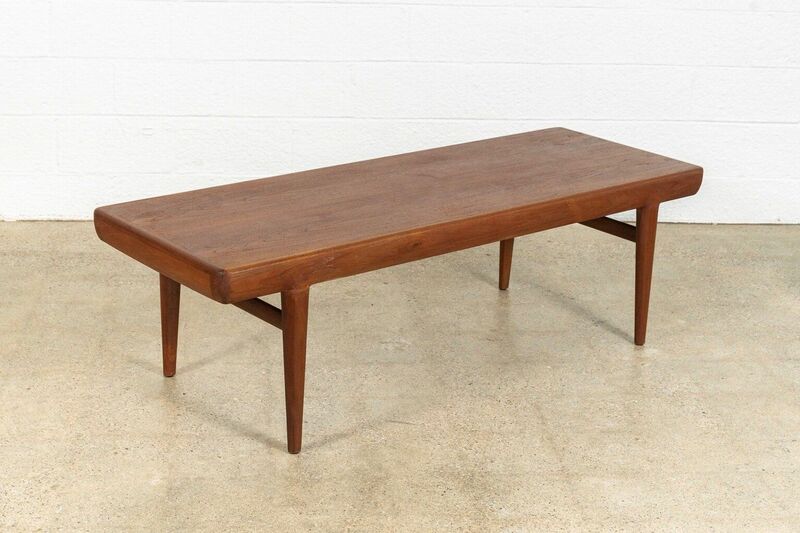 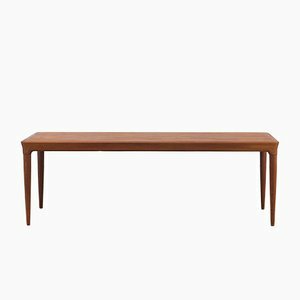 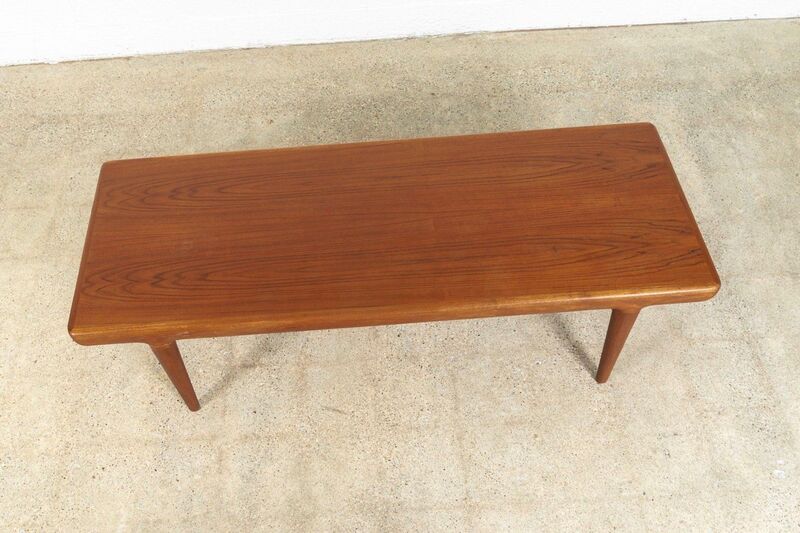 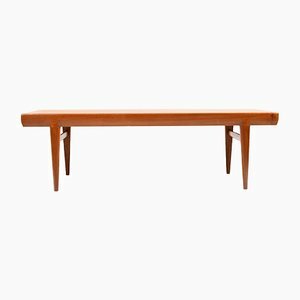 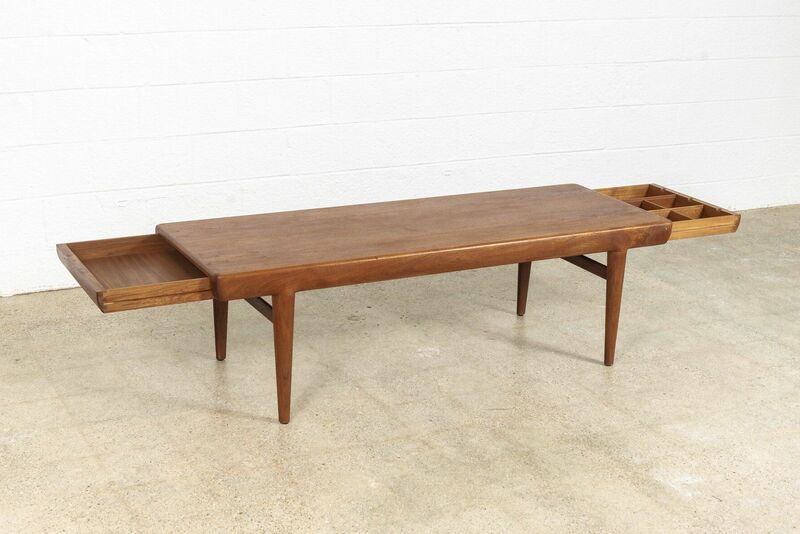 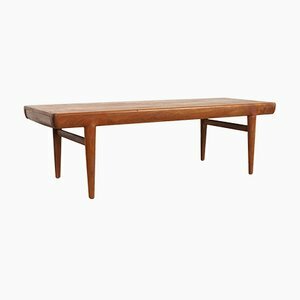 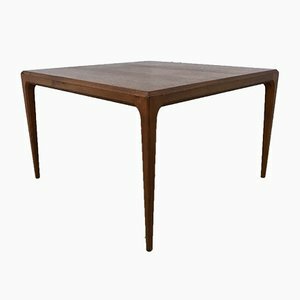 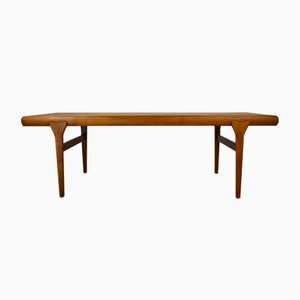 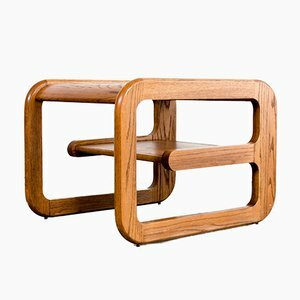 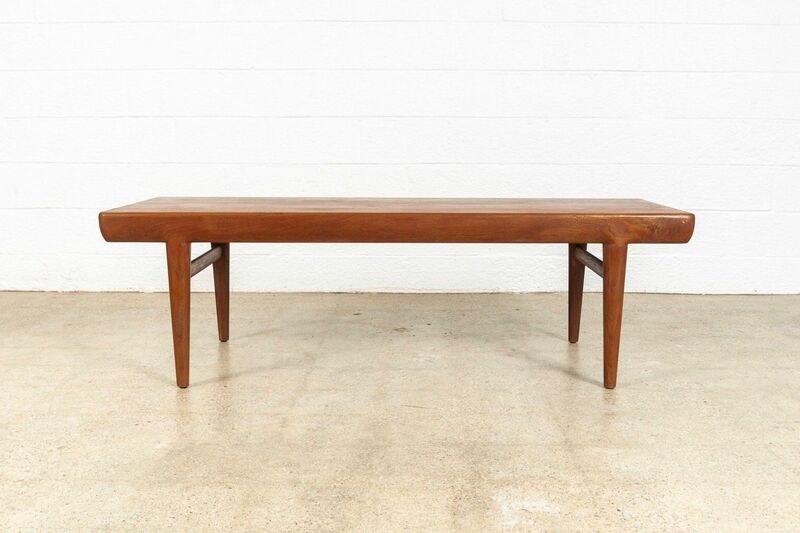 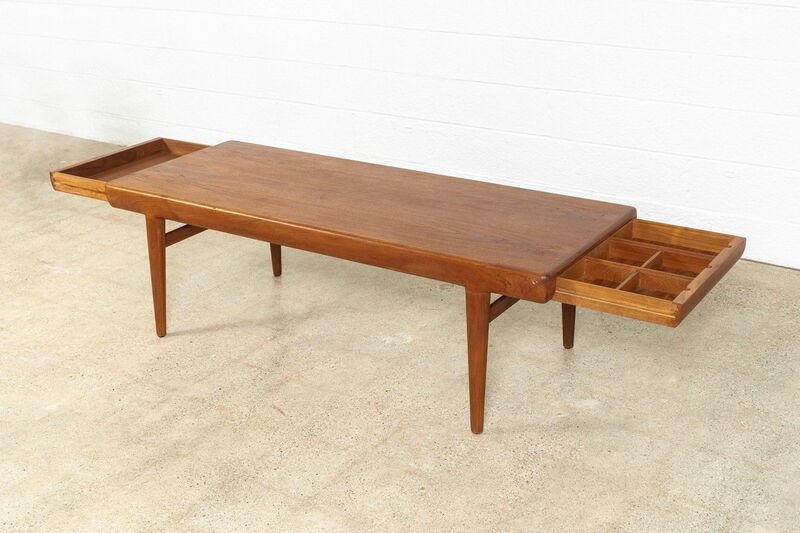 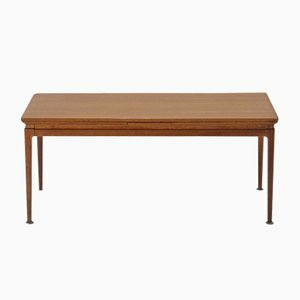 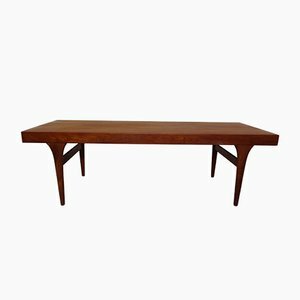 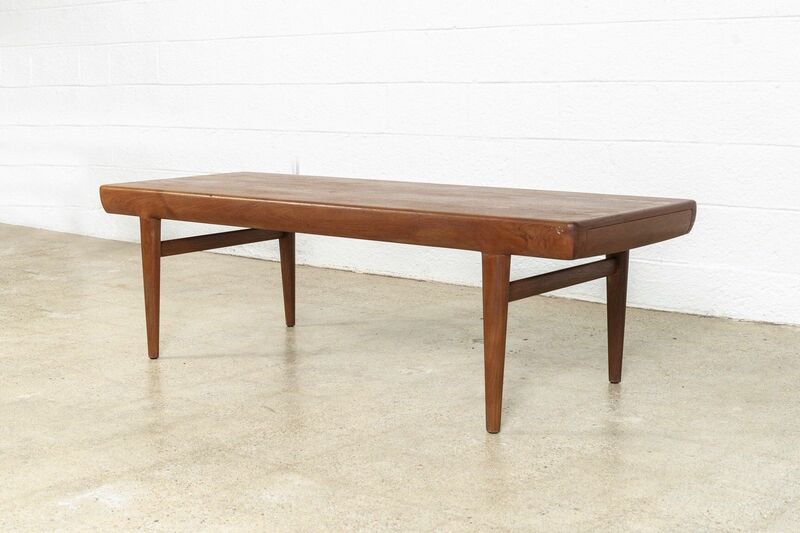 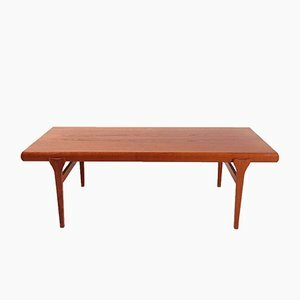 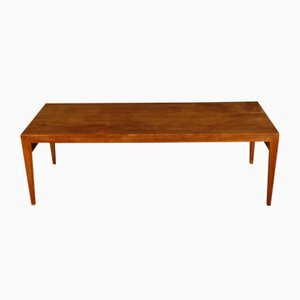 This teak extension coffee table was designed by Johannes Andersen for CFC Silkeborg and made in Denmark circa 1960. 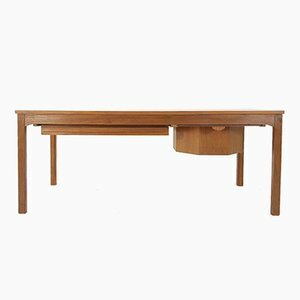 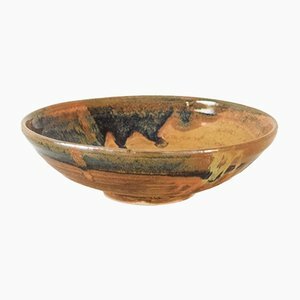 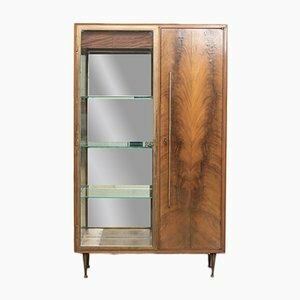 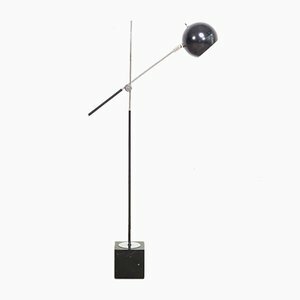 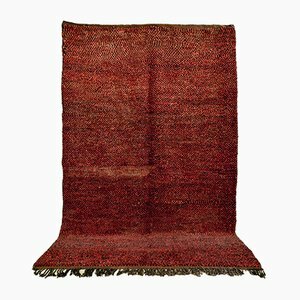 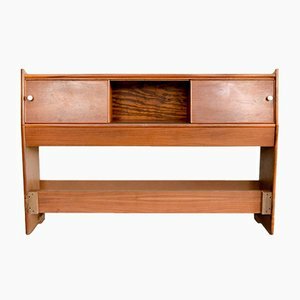 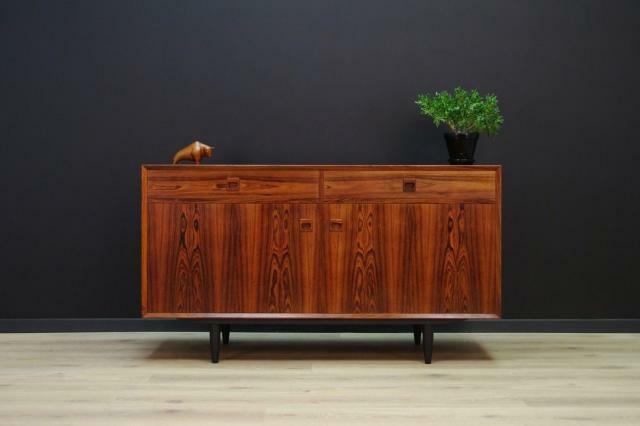 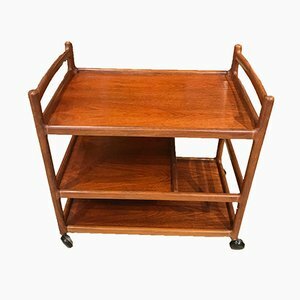 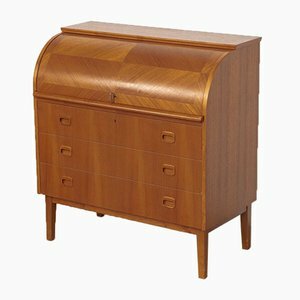 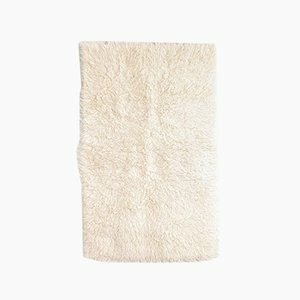 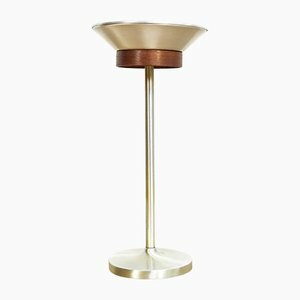 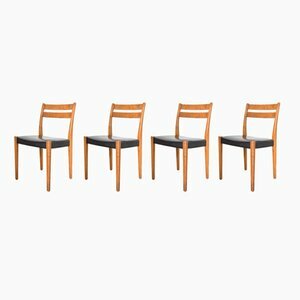 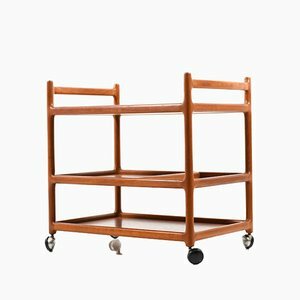 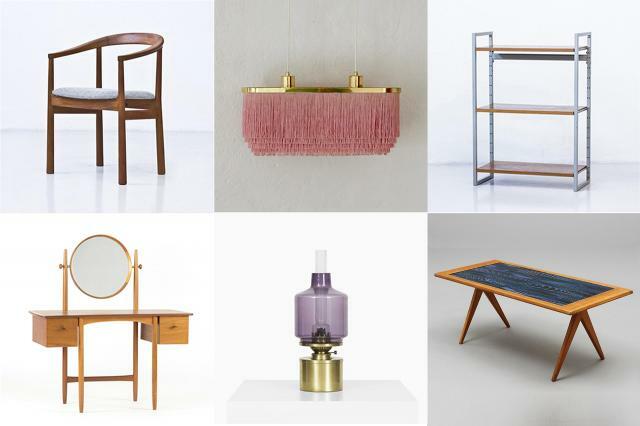 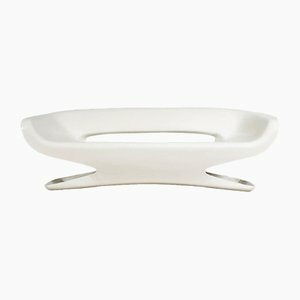 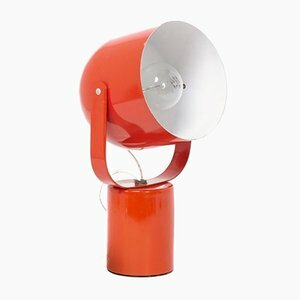 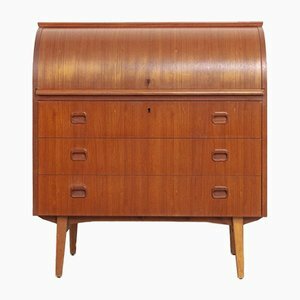 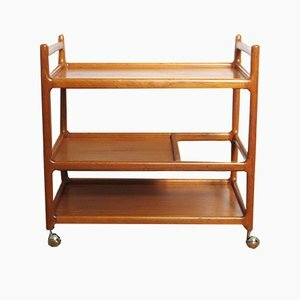 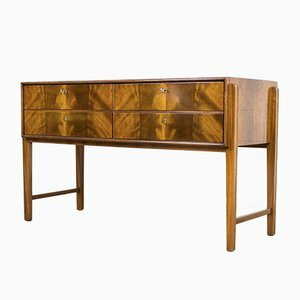 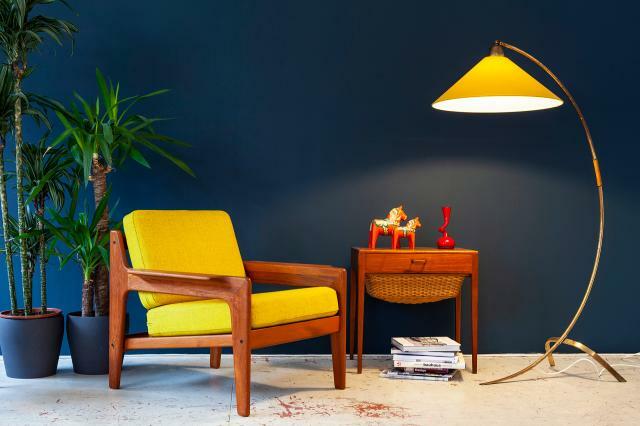 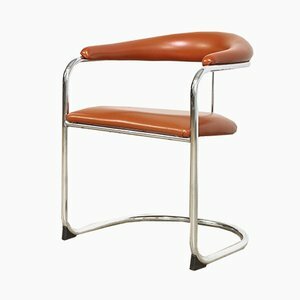 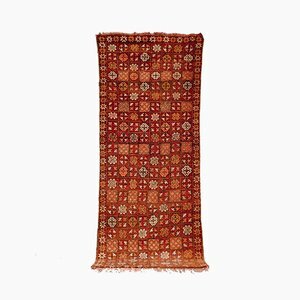 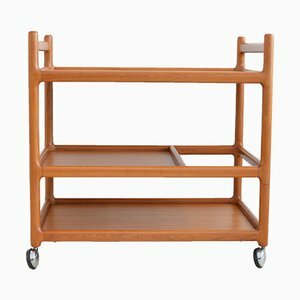 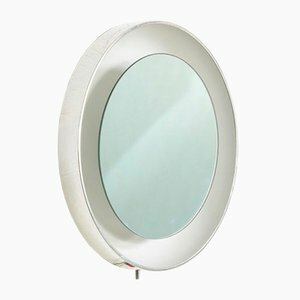 The classic minimalist design has clean and elegant lines and is expertly crafted from teak with beautiful wood grain. 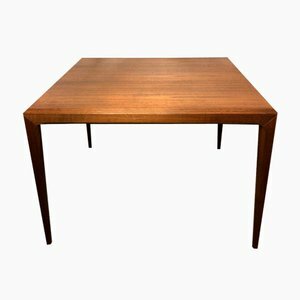 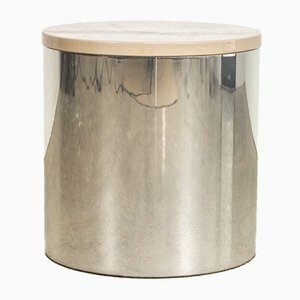 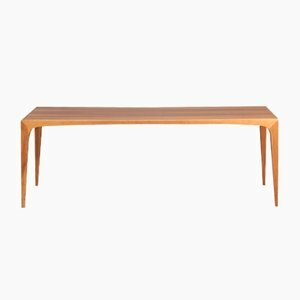 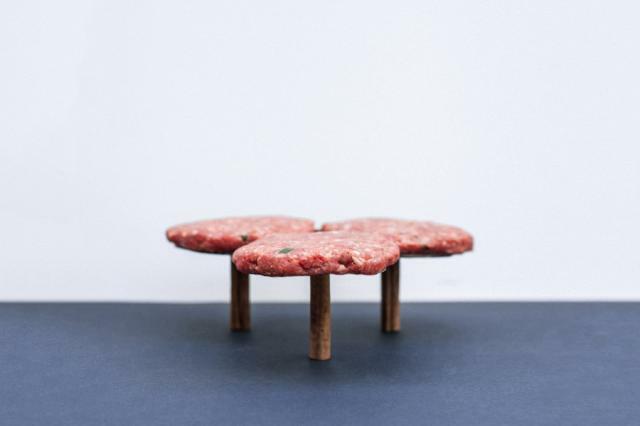 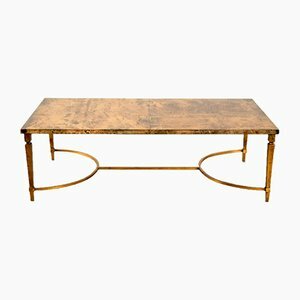 The table features an inlaid surface and tapered legs with two finished pull-out drawers on either side. 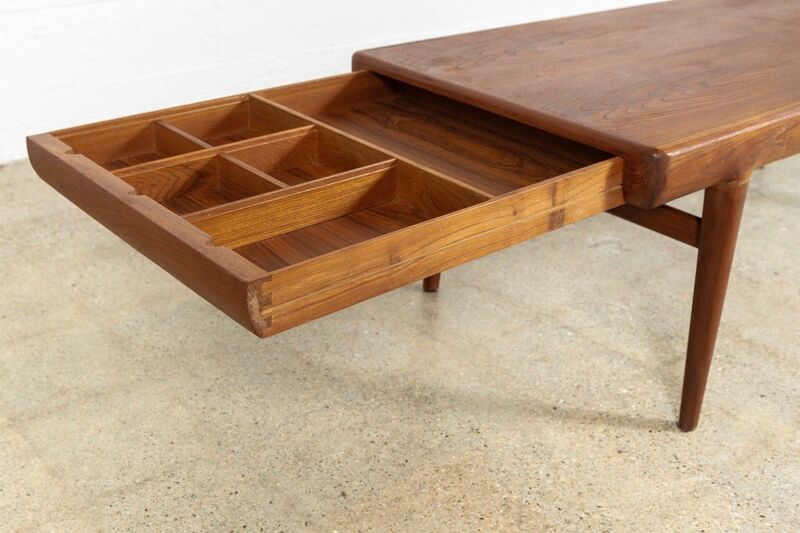 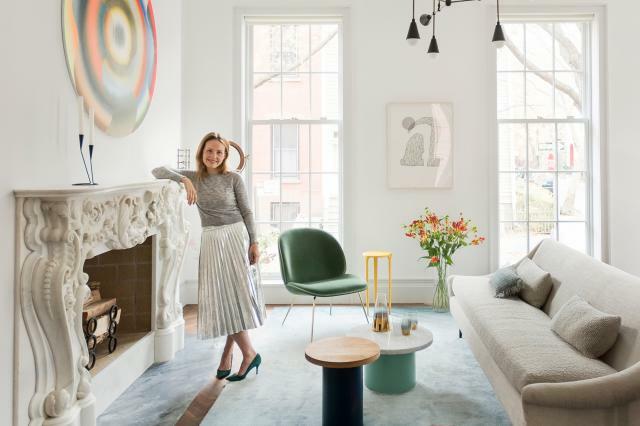 One drawer has one large open space one is divided into four compartments for storing items. 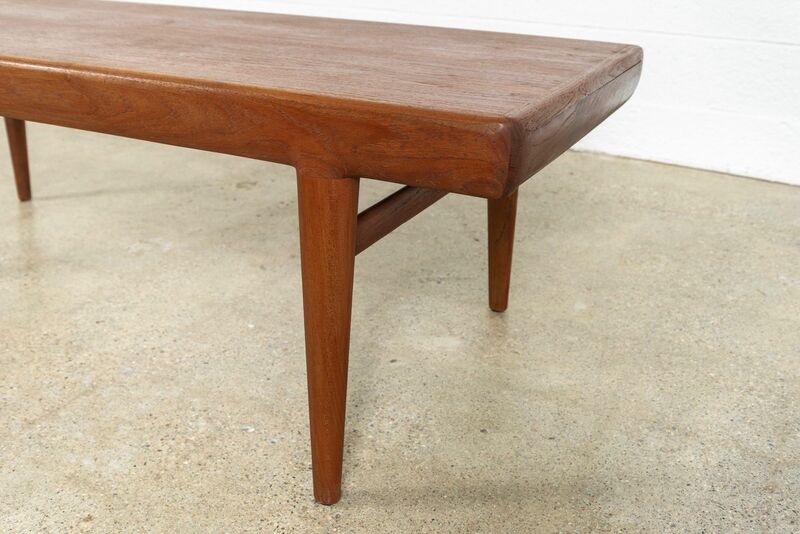 The maker’s mark is on the underside and the piece remains heavy and solid. 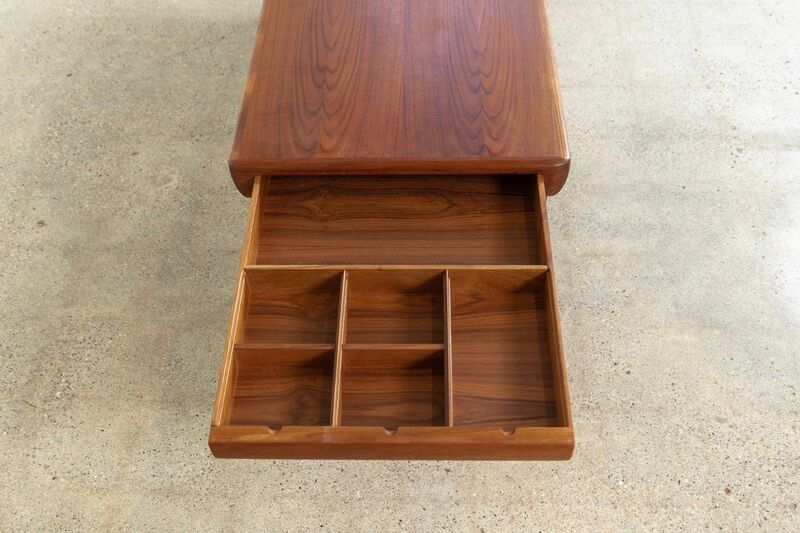 Each drawer extends 24 in.